Real life is worth capturing well. 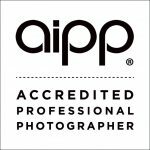 I take great care in choosing the right locations, working with clients and using my skills in framing, light, composition and interpretation to ensure every session is unique. My session fee is priced at $200. Session fees must be paid within one week of booking to ensure your chosen date is held and are non-refundable (but they are transferrable). Please note – my creative session fee does not include the digital files. Order and Pay in full within one week of your gallery going online and receive 10% off your entire order (including 10% off the prices below). collections can be tailored to your needs – huge saving are made by simply ordering and paying within a week of your gallery going online. Your Digital Files are also available in FULL Resolution, for all of your personal needs. Please email me on robyn@robyngeeringphotography.com for your full pricing and products catalogue.